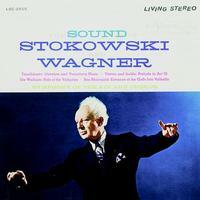 Stokowski was the first conductor to become a true superstar. He was regarded as something of a matinee idol, an image aided by his appearances in such films as the Deanna Durbin spectacle "One Hundred Men and a Girl" (1937) and, most famously, as the flesh-and-blood leader of the Philadelphia Orchestra in Walt Disney's animated classic "Fantasia" (1940). As conductor of the Philadelphia Orchestra he popularized an entirely new orchestral sound known as the "Philadelphia Sound" or the "Stokowski Sound." Its foundation was a luxuriant, sonorous tone and an exacting attention to color. He pioneered the use of "free" bowing, which produced a rich, homogenized string tone.